All You Need is Love: Why would you want to eat this?! I realized the other day that I probably post more about Little Dude than I do about GG. Maybe because he's home with me all day, every day, and I get to see all the wacky things he does. I'm not sure if you can tell what this sandwich is, so let me explain. About a week ago, I asked what he wanted to eat for lunch. It was the day before a big grocery trip, so choices were kinda limited. He opened the fridge and saw the mayo. He wanted a sandwich, but we had no cheese. My kids like mayo and cheese sandwiches. Anyway, I asked him to choose something else. He said mayo and jelly. Ok, ew!!! I said I refused to make that for him because it sounded gross and I think he ended up eating a hotdog or Ramen noodles (I'm surprised he hasn't turned into one of those 2 things!). Yesterday at lunchtime, I again asked what he wanted to eat. Again he says mayo and jelly. This time I made it for him, just to see if he would eat it. He ate it. The whole sandwich, except for 2 bites. What the heck is wrong with my son??? On another note, there was an incident in my neighborhood last night. I won't go into details, but trust me, it wasn't a good situation. But it leads me to ask 2 requests of you. Make sure to hug your kids extra tight and let those around you know that you love them. Also, Kmama has to take her son to get some tests done. I know watching your kids go through medical procedures is not easy. I think it's harder on the parents than it is for the kids sometimes. Please head over to her blog, read her Thank You Very Much post and leave her some good vibes for her and her son. I thought maybe it was butter. Mayo- gross! I'm sorry for your situation yesterday! Hugging my kids all the time. 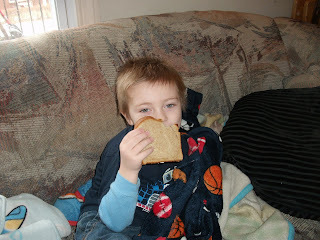 And my little guy loves pb&j sandwiches, with cheese and butter. It's disgusting... but he loves 'em. "Hug Your Kids" - great advice. I started Global Hug Your Kids Day in 2008. We lost our son Mark suddenly to brain cancer in 1998. He was 8 1/2 years old. Maybe you'd like to have an event in YOUR town for the holiday in 2010. It'll be Monday, July 19. Contact me via http://www.hugyourkidstoday.com or for more info. And remember to hug your kids today, if for no other reason than it feels good for us parents to hug our kids! mayo and jelly, huh? I guess if it floats his boat!!! You're right- hug those babes! 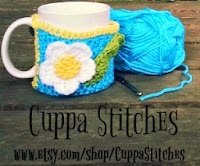 Evonne, thank you so much for that shout out! You are too sweet. Buddy LOVES jelly and cheese sandwiches. Try that with Little Dude. It's a German thing. 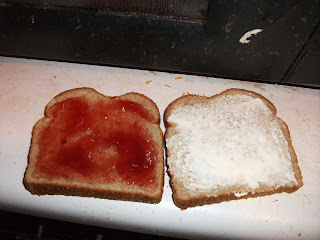 We butter the bread, add some strawberry jelly, and then use colby-jack cheese. It's just about the only sandwich he'll eat.